Recently, we’ve had a number of Lightroom Classic 8 clients on older Macs complain that the Spot Removal tool is slow. Even on a 2015 iMac with decent specs, running on an i7 processor with 16GB RAM and Fusion drive, the Spot Removal tool is slow. But before I get started with the solution, I want to point our readers to the Adobe site for general optimization of your hardware and operating system for Adobe Lightroom. This URL has a list of ways you can do to generally get Lightroom running faster. Today’s blog post is for those of you who are seeing that the Spot Removal tool is slow. Lots of spinning rainbows and wasted time. 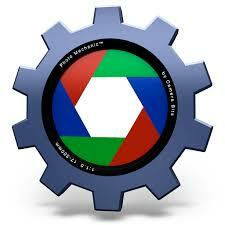 Our solution may also help Lightroom speed up the other local adjustments as well, to perform better and faster. So, this is a new video tutorial update for speeding up Lightroom. We blogged about speeding up Lightroom 5 a number of years ago and recently in Lightroom 8, using third party software, Photo Mechanic. But now, we’re talking more specifically about speeding up what can be the dead slow, wait for the spinning rainbow, time killing spot removal tool. Especially if you’re spotting scans (prints and slides), which can be the worst culprits. A PDF version of the current Lightroom Classic CC User Manual can be a little tricky to find. The product no longer comes in a box with a user guide. So, we are posting a direct link to the Lightroom Classic CC User PDF Manual for our readers here. It’s a definitive source of information, plus it’s a searchable PDF, and written in simple and straightforward language. A lot has changed since Adobe released Lightroom version 1 back in 2007. 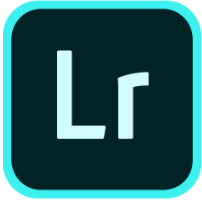 In 2017, Adobe decided to break Lightroom into two different versions: Adobe Lightroom Classic CC and the cloud-based Adobe Lightroom CC. This created (and still creates) a bit of confusion. For more on the differences between the two versions, read our previous blog post Lightroom CC vs Lightroom Classic: Should You Switch? 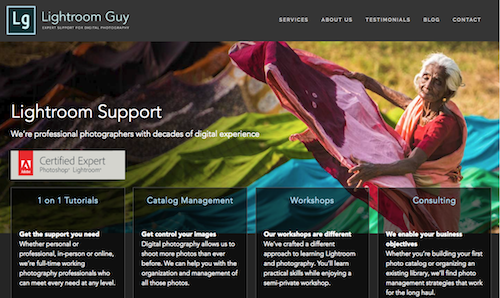 We each have 11 years of professional experience using, teaching and troubleshooting Lightroom. One of the single most important pieces of reference material that we regularly rely on for ourselves and our clients is Adobe’s help manual. It’s been four years since a Lightroom (now Lightroom Classic CC) User Manual was published by Adobe in PDF form, and yet it remains the best resource for Lightroom. We know that Lightroom Classic CC is one of the more sophisticated pieces of camera raw processing software and from time to time we all need a little help. And while there are dozens of published how-to books and thousands of hours of instructional videos available online, navigating this morass can be time-consuming and bewildering. 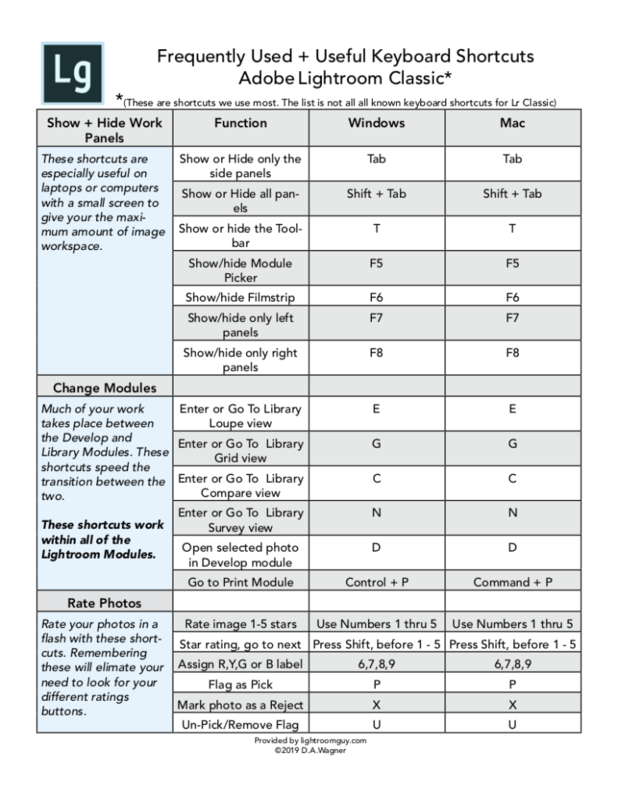 You’ll find that the Lightroom Classic CC User Manual’s table of Contents will take you right to where you need to search. Download the entire 10/15/2018 update of the Lightroom Classic CC User PDF Manual. This is usually updated regularly, but is not directly related to new releases. When there is a new release, info on improvements, bug fixes and new features can be found on the Adobe site, online here. Below is a summary of the Lightroom Classic CC User Manual chapters. 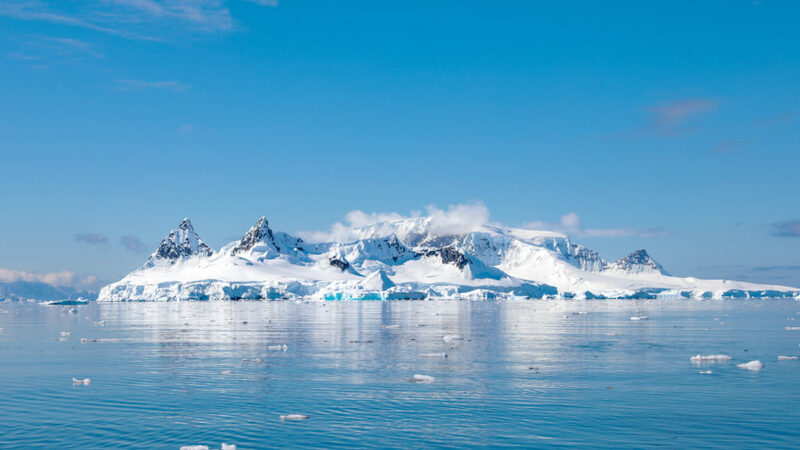 It’s 2019 – Time to update your Lightroom copyright preset. In the Library Module, go to the Metadata Panel and from Preset pulldown menu on the right side, choose “Edit Presets.” If you should find the Metadata panel completely blank, you’ll need to select a photograph. Then the Metadata fields will appear. In the Copyright field, type the copyright symbol followed by the year and then add your name. 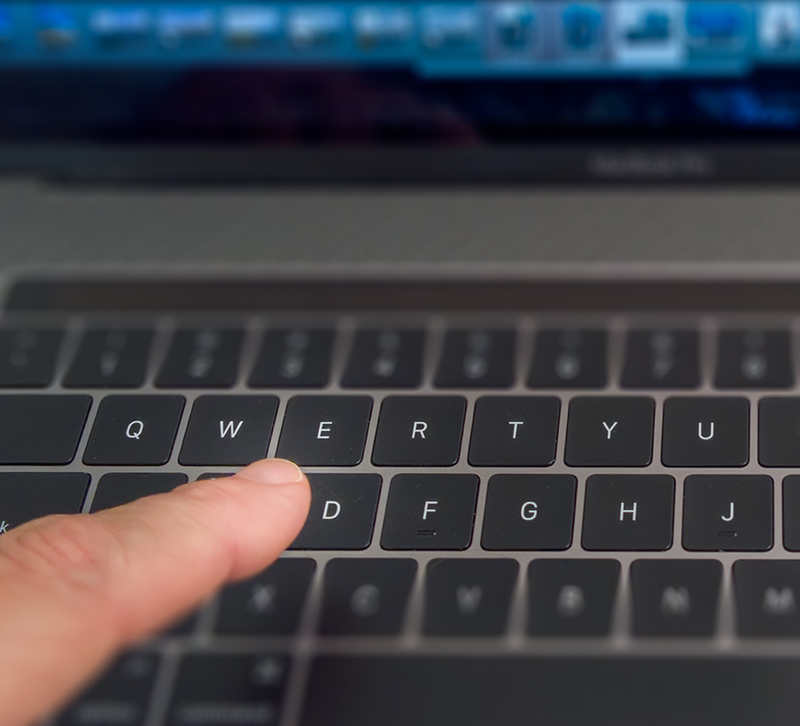 The © copyright symbol keystroke for Mac is Option G. For PC, hold down the ALT key while typing this sequence of numbers: 0169. In the Rights Usage Terms field, copy and paste the following legal speak: No reproduction rights are granted without the express written permission of (your name). No other usage is expressed or implied. Part of the pasted text will become hidden. But, when applied to a photo, it will appear in its entirety in the IPTC Rights Usage Terms metadata field. Double check for typos! Fill in as much (or as little) contact info as you wish. And, when you’re finished, go to the Preset pulldown menu. Choose “Save Current Settings as New Preset…” Type in your Preset Name and choose Create. You’ve now created your Lightroom Copyright Preset for 2019. In the Library module, select an image or a group of images. Then, choose the 2019 copyright you made from the Preset pulldown menu in the Metadata panel. 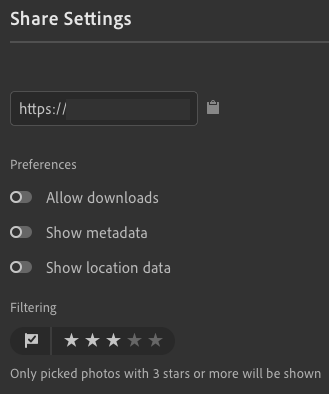 If you have a group of images, you’ll have an “Apply Metadata Preset” dialog appear asking you if you want one or all selected photos to have the preset applied. 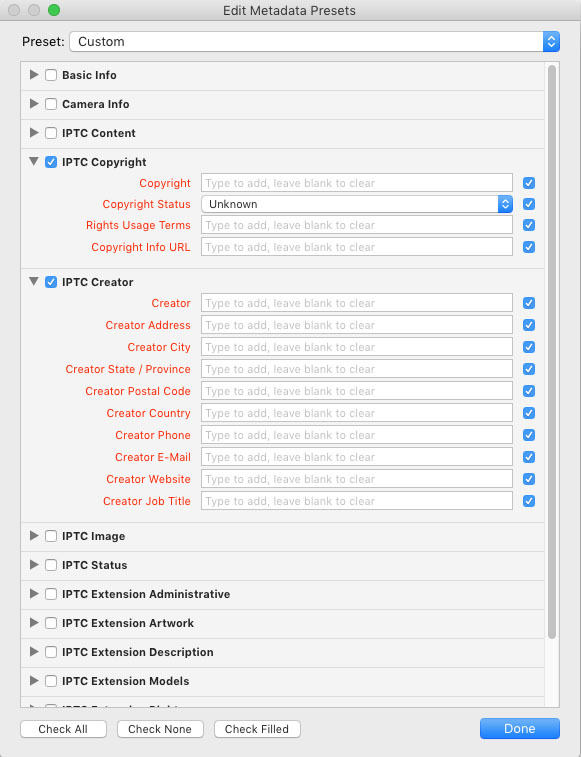 Even if you don’t select IPTC from your Metadata view options, as long as you select your Preset, copyright information will be embedded in your image. We wish everyone a very happy and healthy 2019! Happy Holidays from Lightroom Guy! 2018 has been an amazing year with lots of growth for Lightroom Guy. We want to thank all of our clients and those of you who read this blog on a regular basis. The world of digital photography is constantly growing and changing. And, to keep up means we have our work cut out for us! But working closely with so many amazing photographers makes it incredibly rewarding for us. 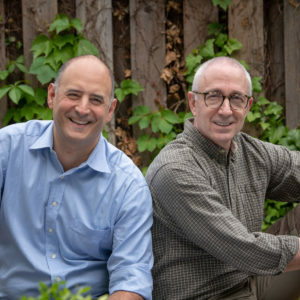 When DA and I joined forces, we identified that we both wanted Lightroom Guy to be a boutique business where we have great relationships with our clients. We’ve achieved that goal, but we’re not sitting on our laurels. We’re always striving to learn more. Phase One is a high-end, medium format camera manufacturer with a raw editing software called Capture One. Both DA and I have recently been certified as Phase One Certified Professionals. This means that we now offer an option for developing photos that rivals Lightroom in many ways. The benefit to you is that, as experts and professionals in the field, we can continue to expand our expertise and offer better solutions to you to support your photography. Drop us a note if you’d like to learn more. We’ve been experimenting and testing the best way to offer on-demand skills building for our clients. We know that our YouTube videos have benefitted you in many ways. And we’re continuing to work on creating quality videos that are in line with your needs and the quality of our in-person training you have come to expect from us here at Lightroom Guy. Look for more of these videos throughout the new year. The NY chapter of this professional organization has partnered with us to develop workshops for APA members, as well as open to the public. 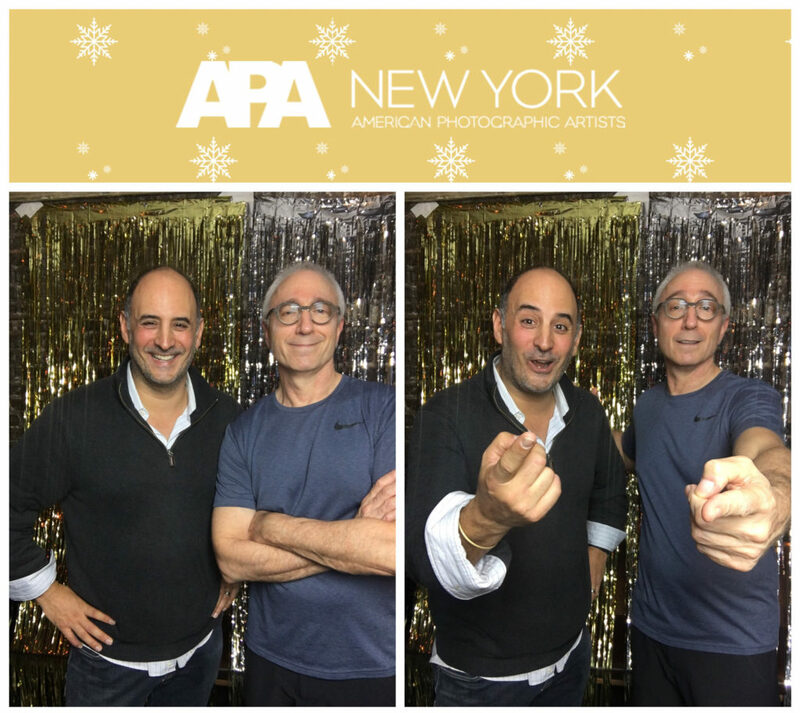 We’ve been working on the best ways to offer photo workshops through our LightroomNYC brand and our partnership with APA is the best way to expand and grow our services. Lastly, we’re on track to launch a new website in January. We’ve been tweaking the format for the greatest possible usability in order to organize and deliver our content to you. A fresh look for the new year! We want to thank everyone again for being part of our community, and we’re grateful for your ongoing engagement and support. 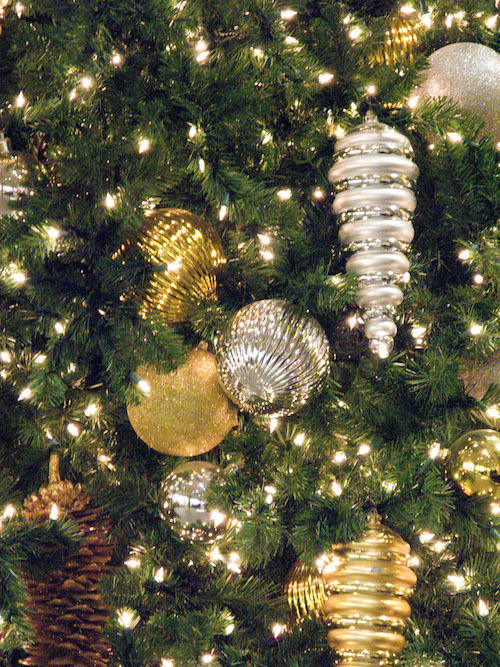 Happy holidays to you and yours from Lightroom Guy! Last week we highlighted the updates in Lightroom Classic 8.1. 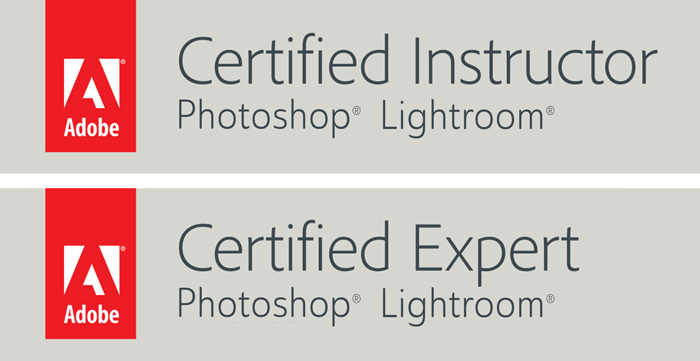 For this post we will cover updates to Lightroom CC 2.1.1. This set of releases for Lightroom CC are mostly incremental. Nevertheless, Adobe shows no signs of slowing down their development of the new platform. In fact, 2.2 is already in process and, while we’re not allowed to say what the actual improvements are, we are excited by what is coming! This December update brings us to version 2.1.1 and we have 3 relatively minor changes along with the usual updates for camera and lens support. This very functional addition allows you to set a particular Album as a “target” and then, as you roam through your library of photos, you can simply hit the ‘T’ key and add selected photos to the target Album. This makes it much easier to organize your photos and you can add single photos or, select a group of photos to add to your targeted Album. You can now use the Pick Flag and Star Ratings to filter what images are shown in a Shared Album. Prior to this, any image in a shared Album would be visible. So, if you wanted to not show certain images in an Album you would have to remove them from that Album. Now, you can choose to show only images that have been flagged or have a certain star rating. This will make it much less of an hassle to share a smaller subset of images from a single Album. 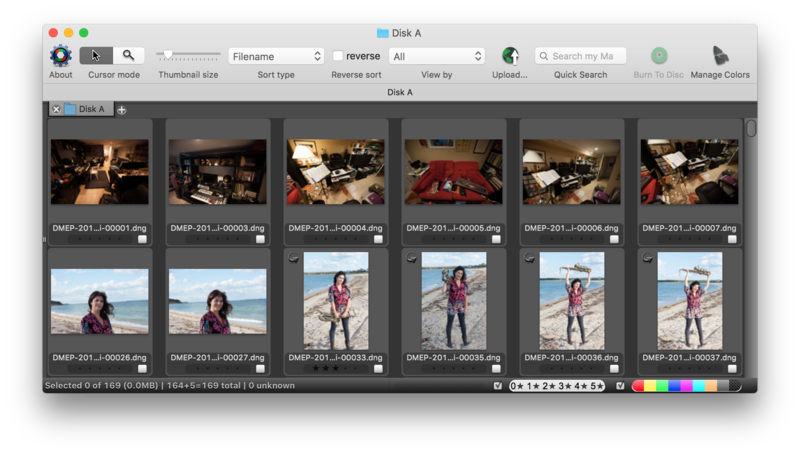 Importing from an SD card or directly from a camera should be faster. There should also be some noticeable speed improvements when working in the People view. Not two months after the Lightroom Classic CC update to version 8 was launched (leaving Lightroom 7.5 in the dust), Lightroom Classic CC Version 8.1 has been released. It seems that Adobe is coordinating this update with the entire Adobe photo ecosystem: Adobe Camera Raw 11.1, Lightroom Classic CC, Lightroom CC and Lightroom CC 4.1 for Android, iOS and ChromeOS. For you holdouts, it’s a good reason to love the Creative Cloud. These improvements, updates and bug fixes keep making Lightroom better and better. Instead of reviewing all the minutia of this Lightroom Classic update, we’re looking at our favorite improvements in 8.1. This is the desktop application and not to be confused with Lightroom CC, the cloud version (also updated to 2.1!). Last October, we reviewed the major improvements for Lightroom Classic 8, in addition to our favorite improvements of Lightroom CC 2018, in case you missed them. And at the end of this post you can find a direct link to the “What’s New” page at Adobe for all the small details. At last week’s Digital Asset Management presentation at APA, we explained that no two photographers use the same workflow. 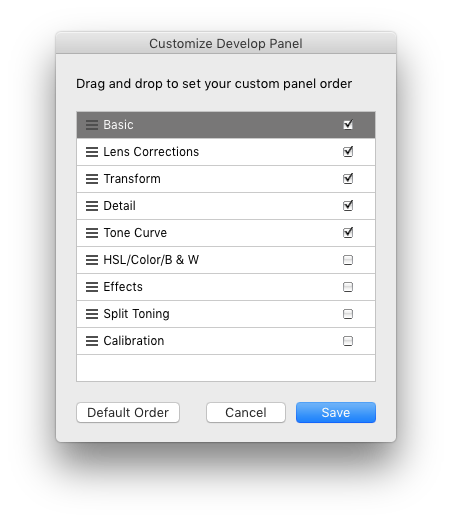 Adobe must have heard us because you can now customize the order of the panels in the Develop Module! Right click any of the panels on the right side of the Develop module and choose “Customize Develop Panel.” Uncheck to hide any Develop panels you don’t use, and drag and drop from the left side to reorder the ones you use the most. Version 8 saw a big improvement to the Book Module, thankfully! With 8.1 Adobe has introduced grid snapping which is a much needed feature! This makes it easier to position image cells accurately to other images and text boxes. Yay! The Book Module still isn’t perfect, but with a visible background grid, image cells you can snap to and custom page designs you can save, we’ve returned to Lightroom Classic for book making. These are all big improvements and time savers. 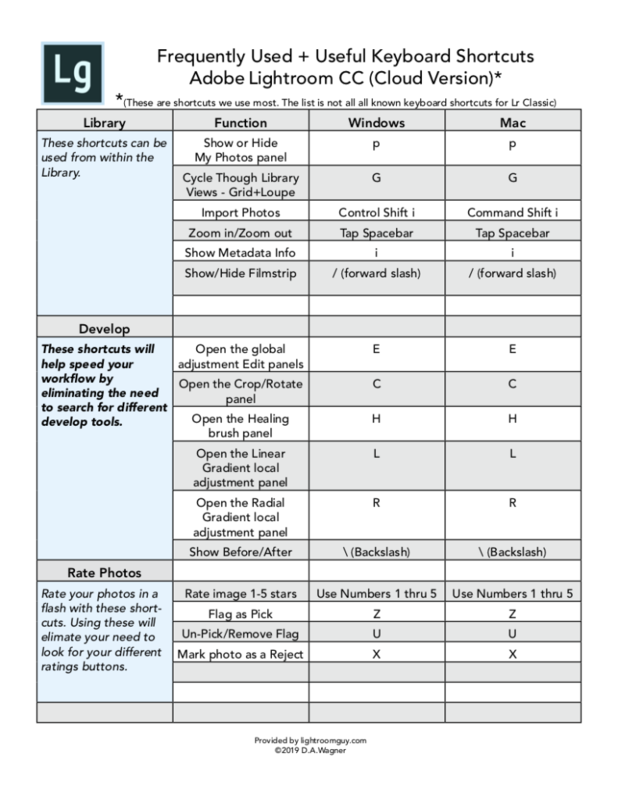 We had been using Blurb’s Bookwright software, but returning to Lightroom simplifies our workflow. We promise, we will be reviewing the Book module at a later date. Auto-import images directly into a collection with a “watched” folder. Using File>Auto Import>Auto Import Settings … You can setup a new folder to automatically import and add images to a collection. This can also be a Collection synced with lightroom.adobe.com or Lightroom CC on iOS or Android. During my tests, this feature worked perfectly! I’ll bet there are a lot of Lightroom users who end up quitting Lightroom when they didn’t plan to! This feature gives you the option of canceling a “Quit.” ‘Nuf said. For those of you with 4K and 5K monitors, grid scrolling should be up to 5 times faster switching between the Library and Develop modules. We’ve had a lot of requests for the most recent Lightroom Classic manual, so as a bonus to this blog post, here’s a link to Adobe PDF download of the Lightroom Classic CC manual: Adobe Lightroom Classic Manual. Quick! Develop Like a Pro! You can develop like a pro quickly with this simple approach. In our Develop Like a Pro workshop, I frequently talk about using Lightroom to bring attention to the main subject of a photo. This is a subtle move that uses Adobe Sensei and the Radial Filter tool. Although Adobe Sensei was released for Lightroom a year ago, many users (Classic and CC) overlook it. A simple click of the “Auto” button in the Tone section of the Develop panel will engage Adobe Sensei’s features. This makes short work of your initial first steps. Sensei isn’t labeled on any of the Auto buttons, so the feature isn’t obvious. But it’s there, under the hood, working its magic, referencing thousands of photos and saving you valuable production time. To really develop like a pro, add a professional touch using the Radial filter. This can make a world of difference and it’s quite easy to do. It adds an “instant spotlight” to your subject. Watch the video and in just two minutes you’ll understand why Develop Like a Pro isn’t a tag line, it’s a professional approach to developing photos.